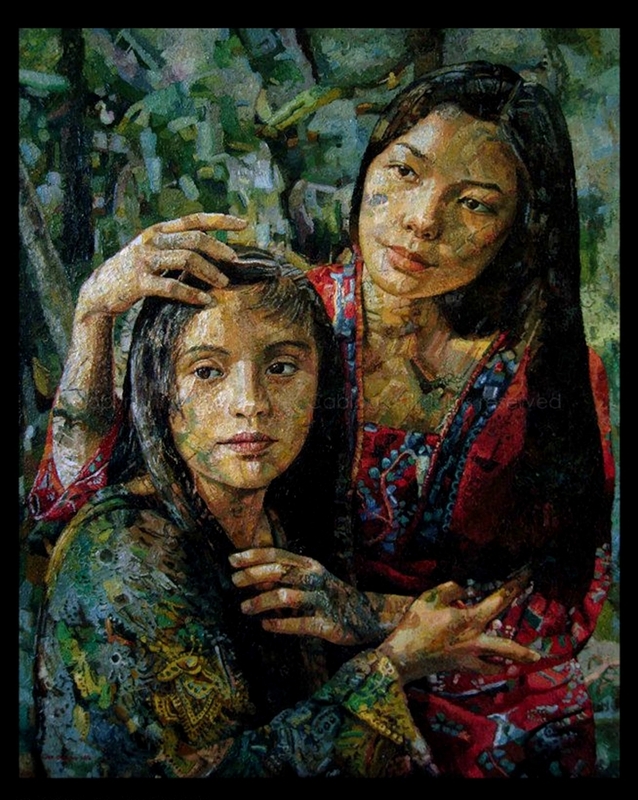 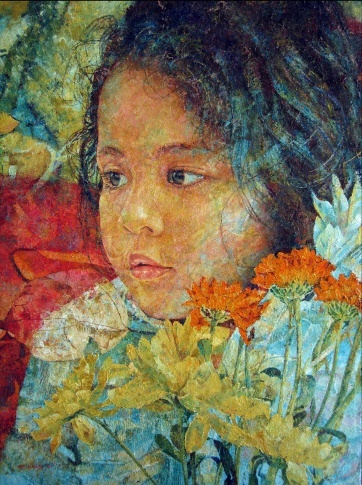 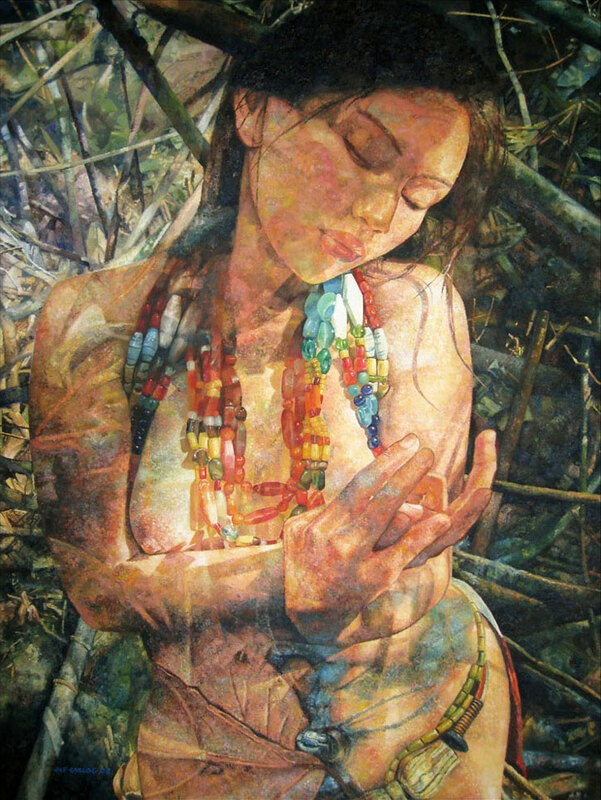 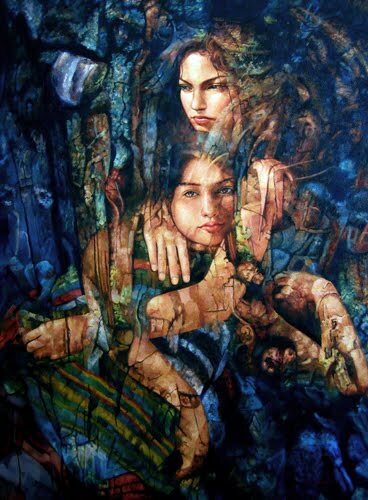 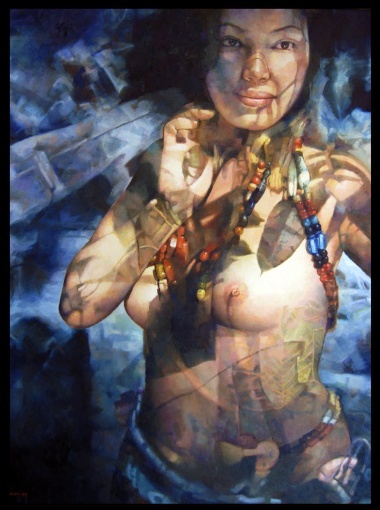 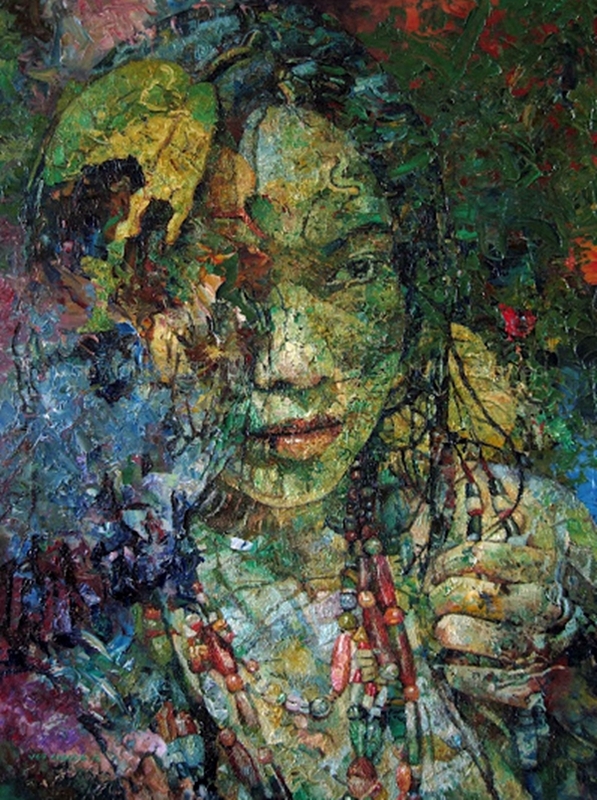 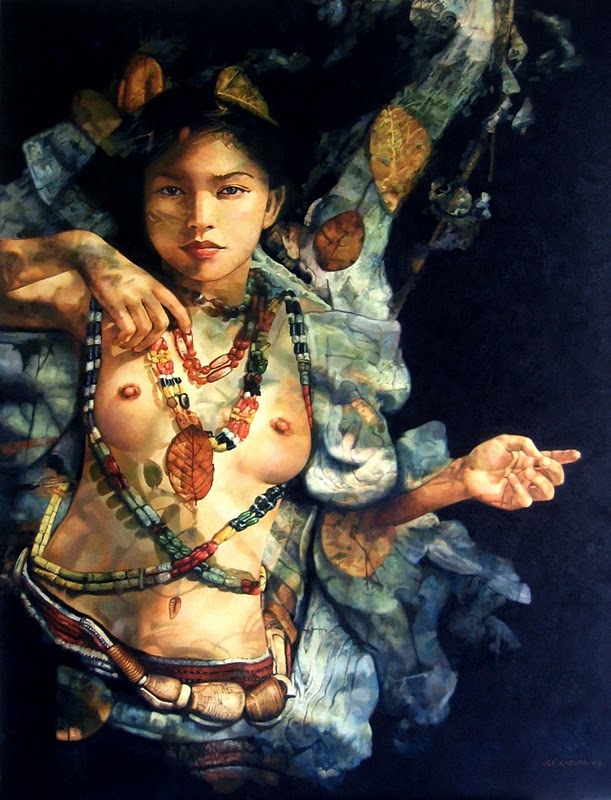 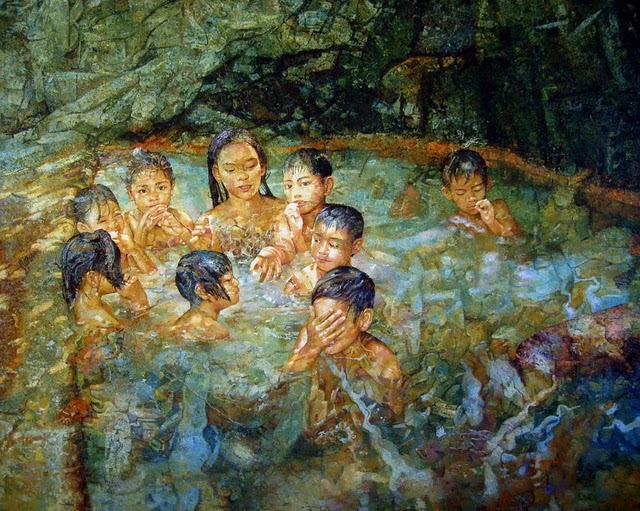 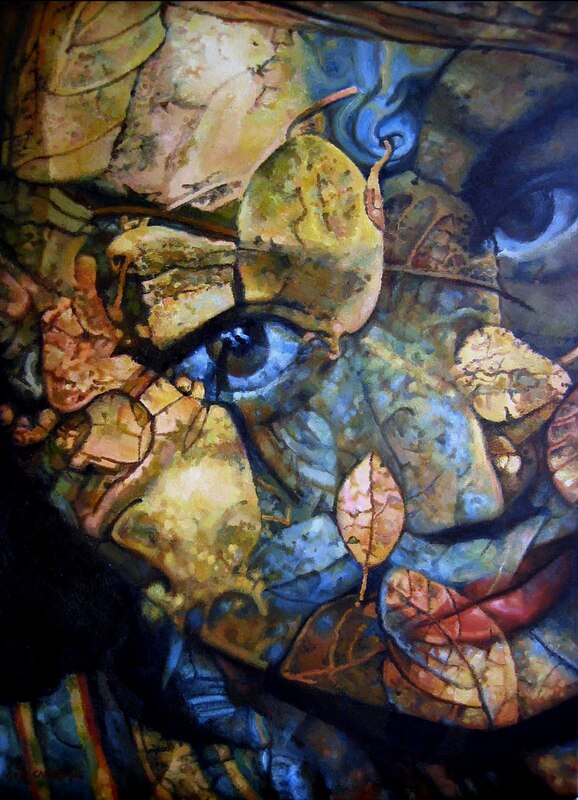 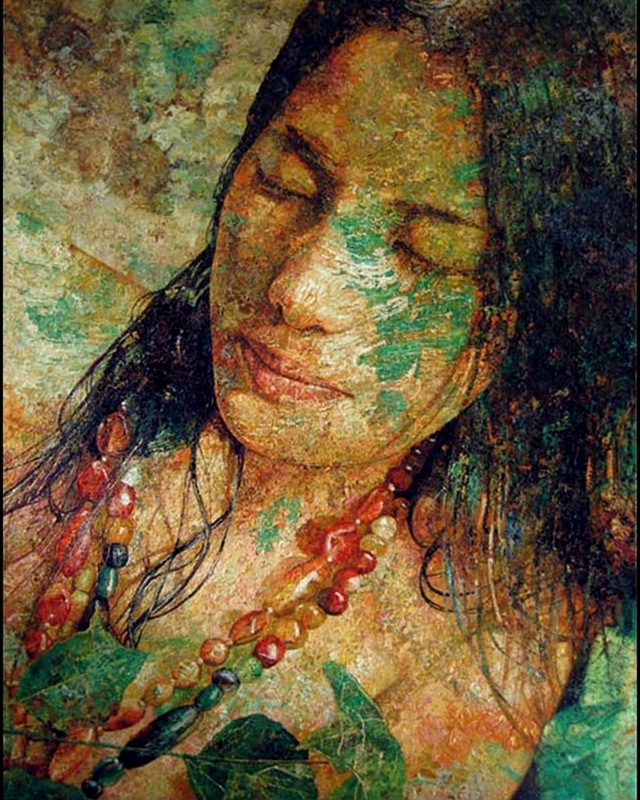 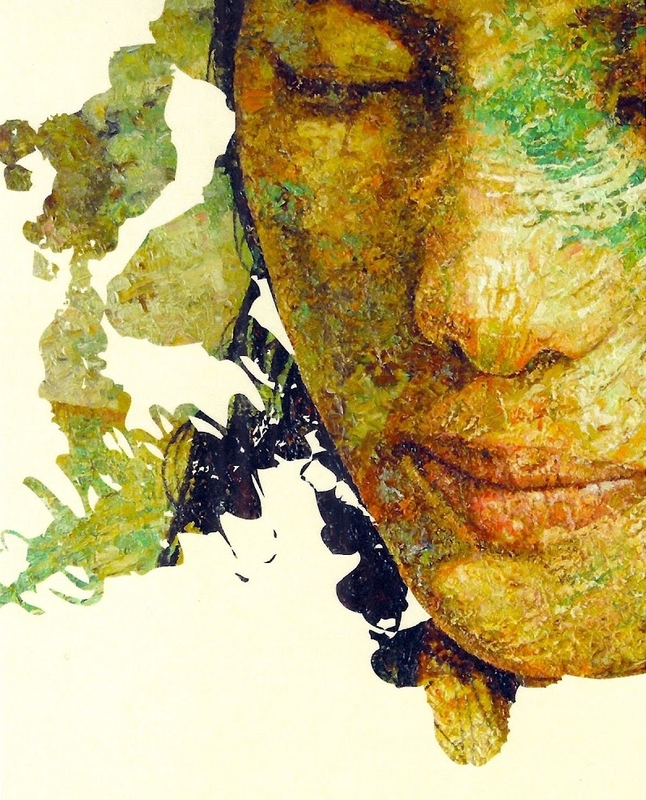 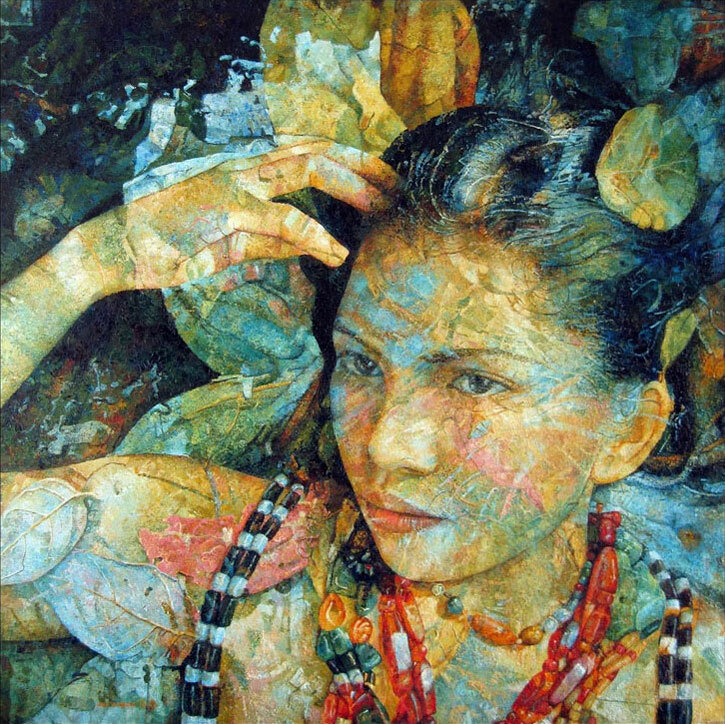 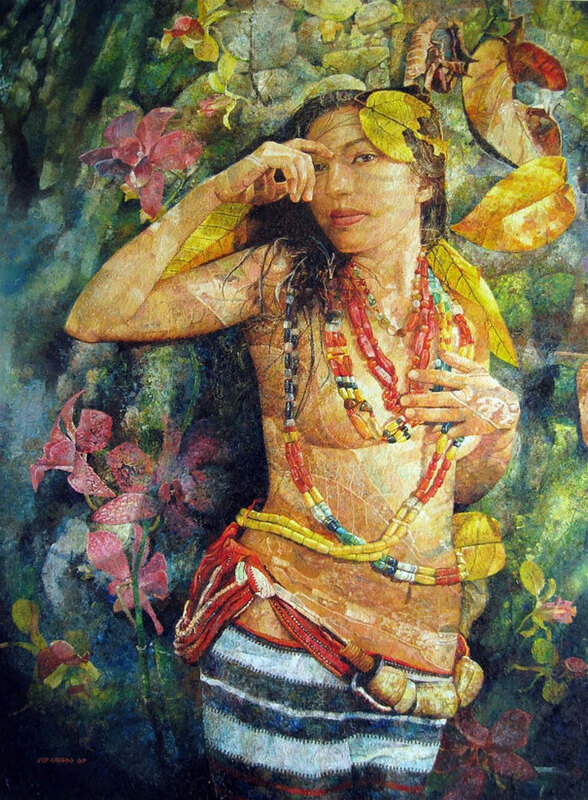 Jef Cawaon Cablog is an artist from Barlig, Mountain Province, Philippines who believes in charting his future as a painter by looking to his past. 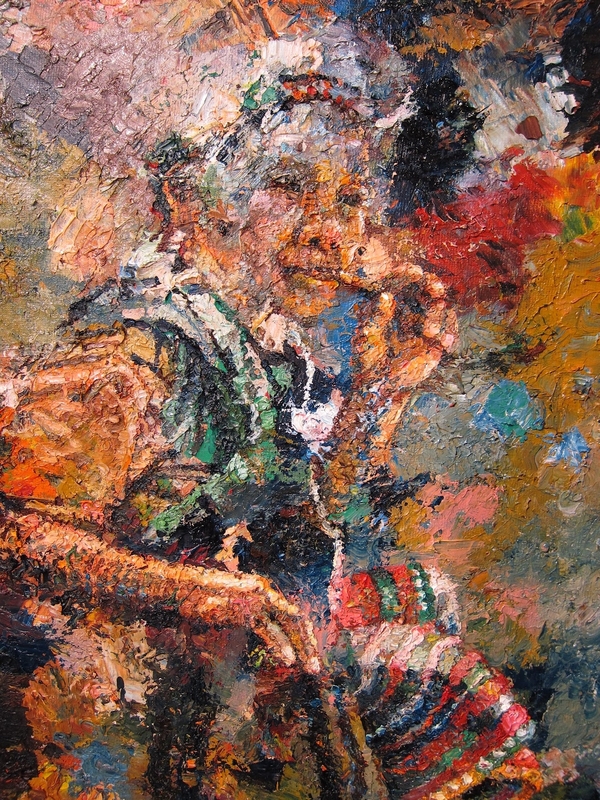 Although he sought an artist’s education within a modern institution, he promptly quit school when he felt that his instruction has begun to alter his traditional vision. 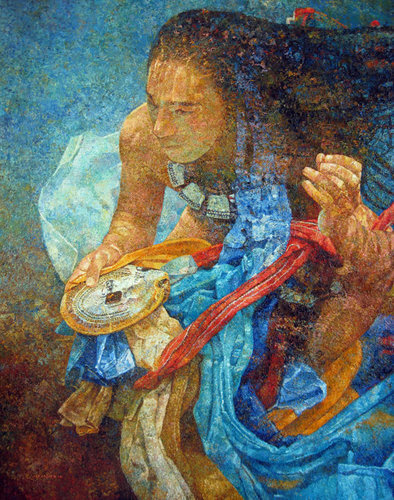 Unlike most artists who strive to change the current, Jef look upon his elders to try to see a window to his people’s past. 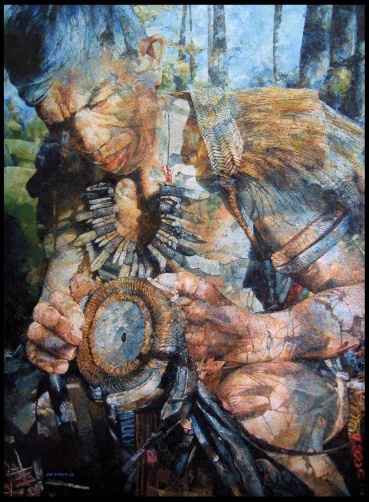 His paintings will show how stories and dreams handed down from the elders have translated themselves to visual images on canvas. 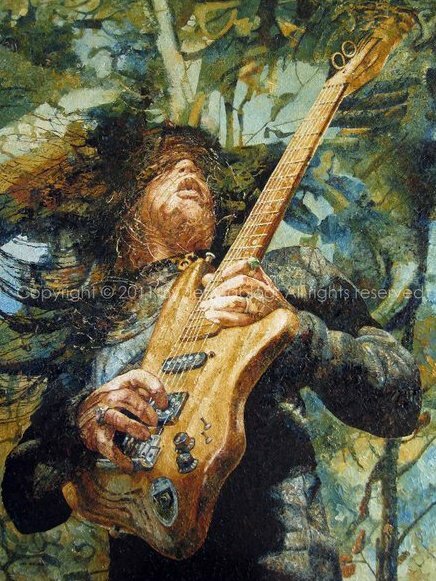 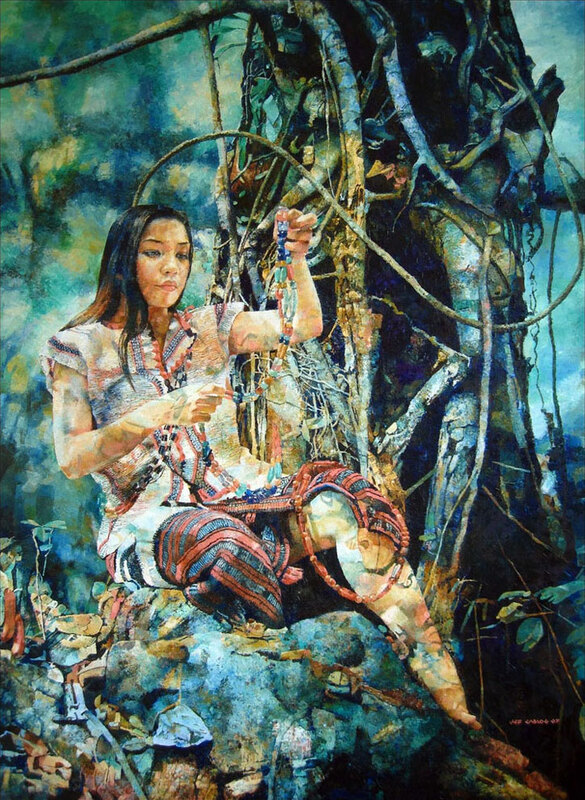 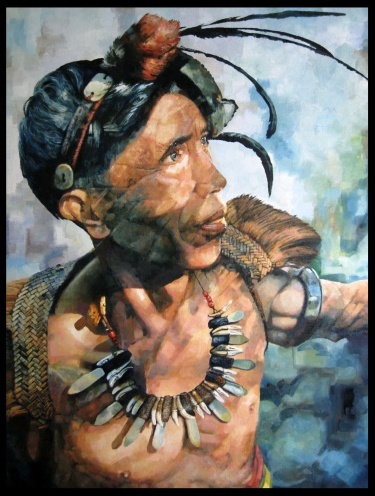 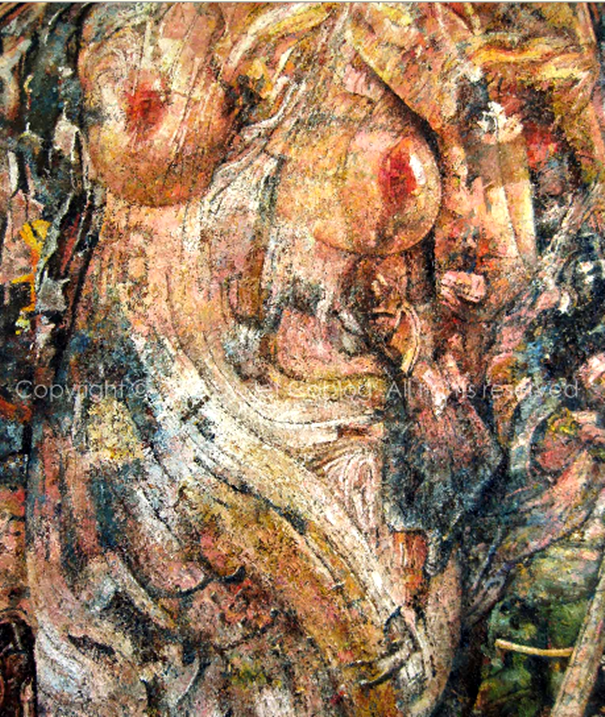 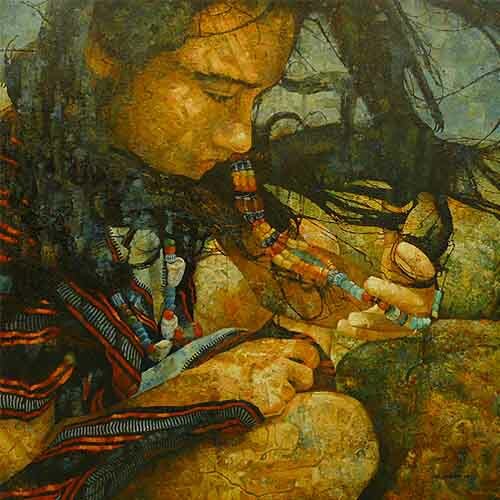 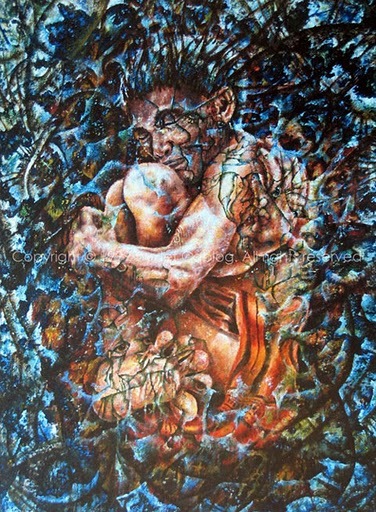 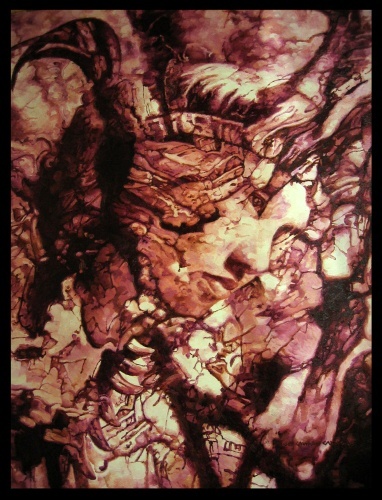 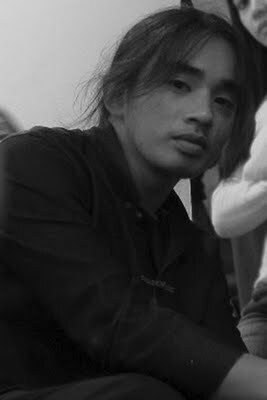 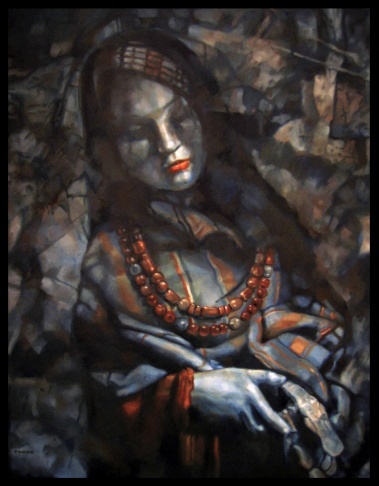 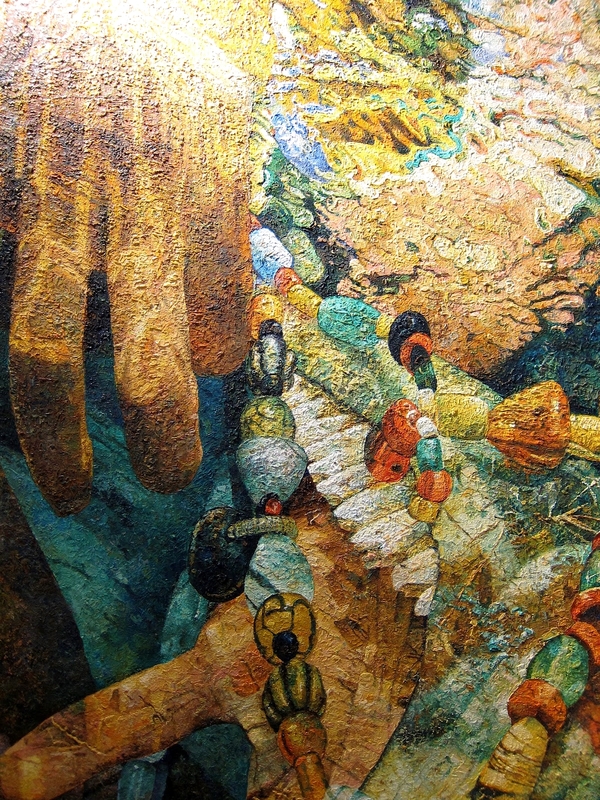 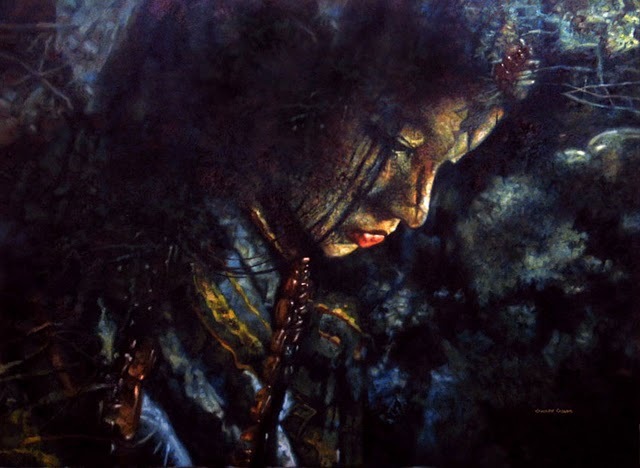 Jef, an artist steadily gaining recognition in the Cordillera and national art scene, has always done his artistic creation in the mountains of Barlig where he gets his inspirations. 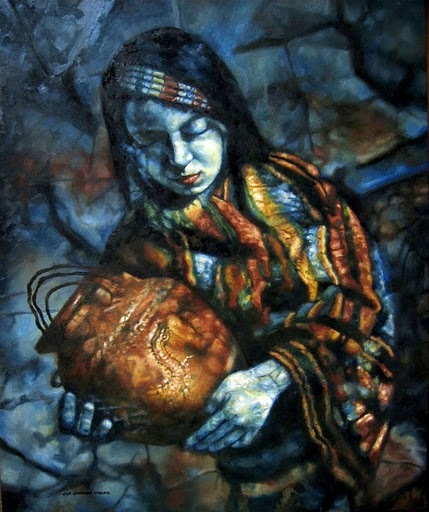 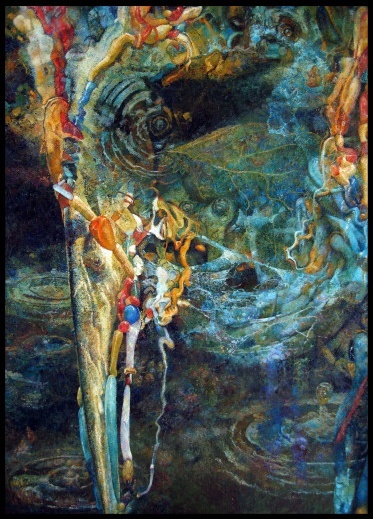 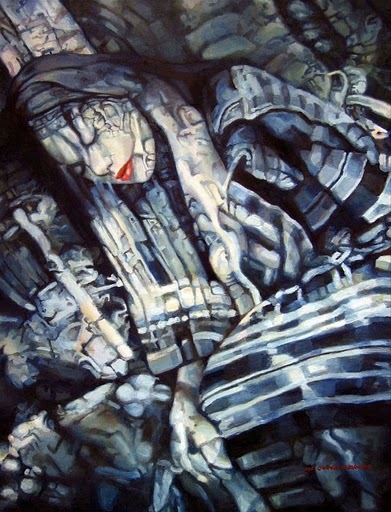 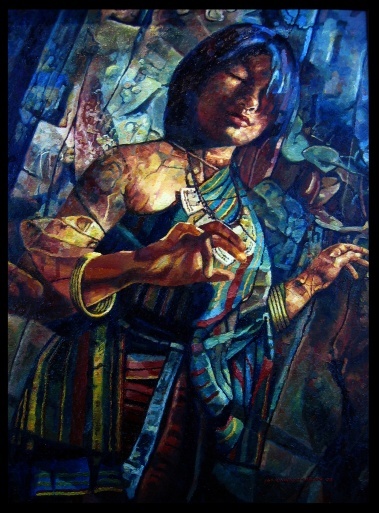 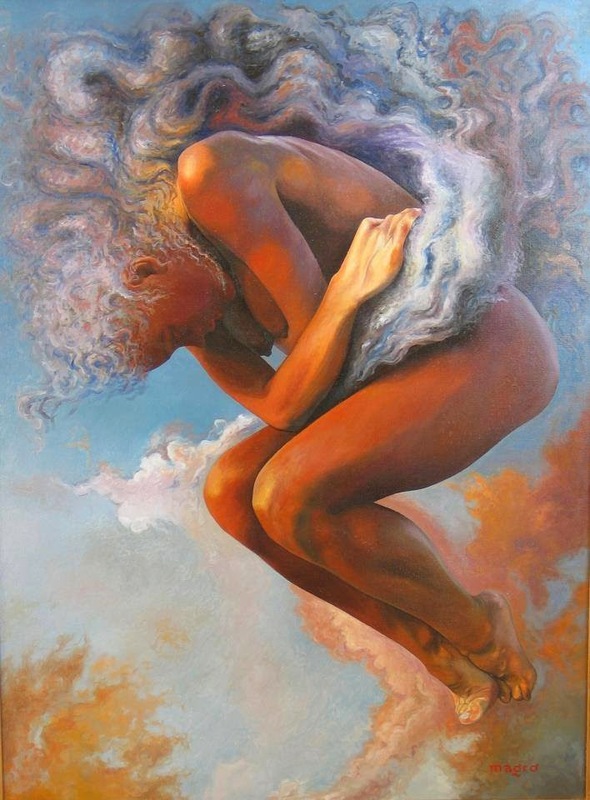 Art patrons always notice how Jef’s paintings are able to show aspects of Ifialig culture in non-literal form, making them unique and distinctive. 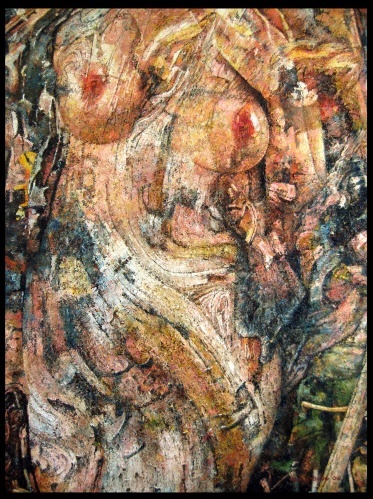 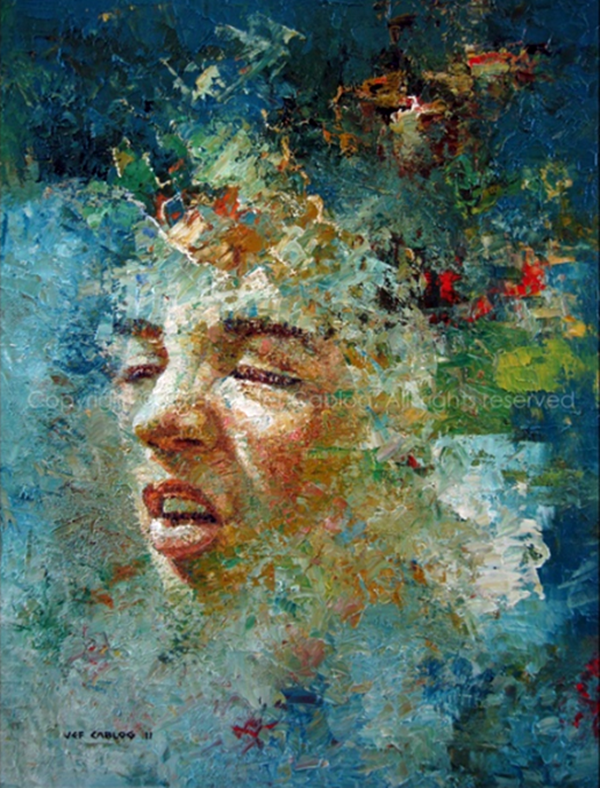 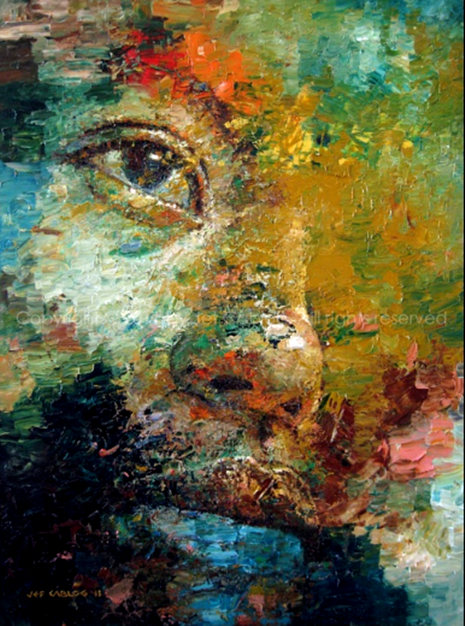 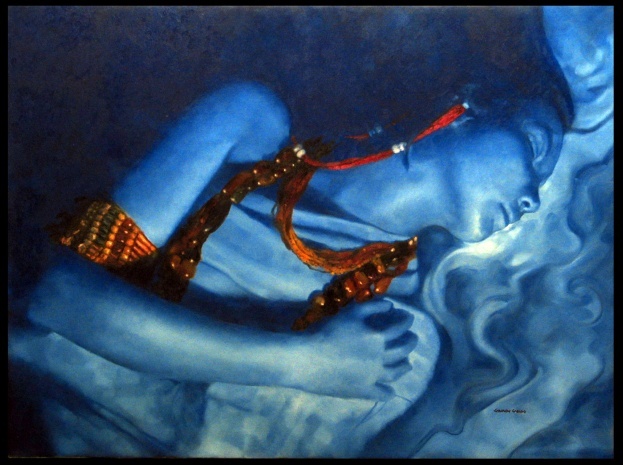 His current works are realistic and expressionist. 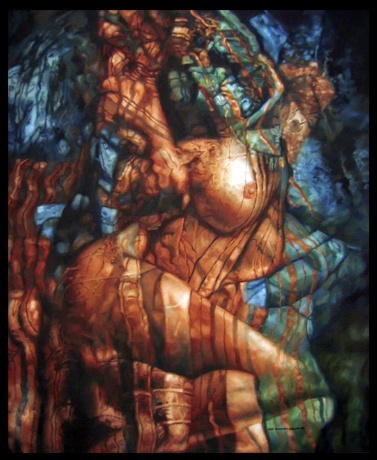 He envisions his work as a time reference to record the transition of conventional to the modern art using traditional medium. 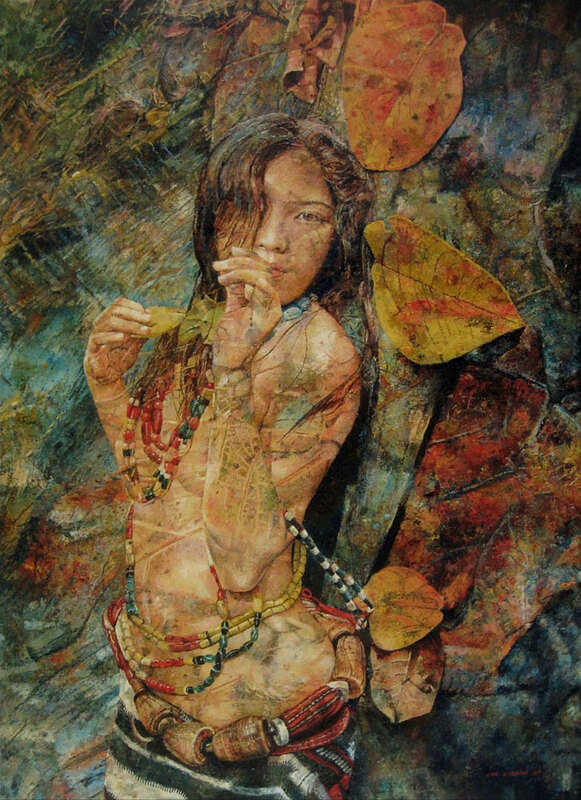 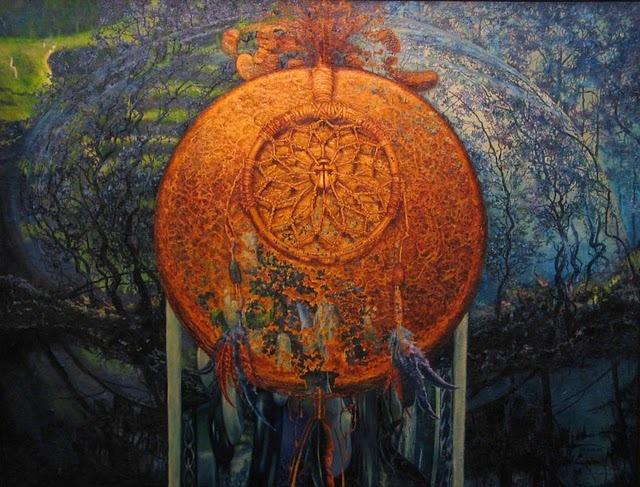 His composition and lightings are earthy and low lighted to express his dreamy and imaginative world free from the hectic routines of the modern world. 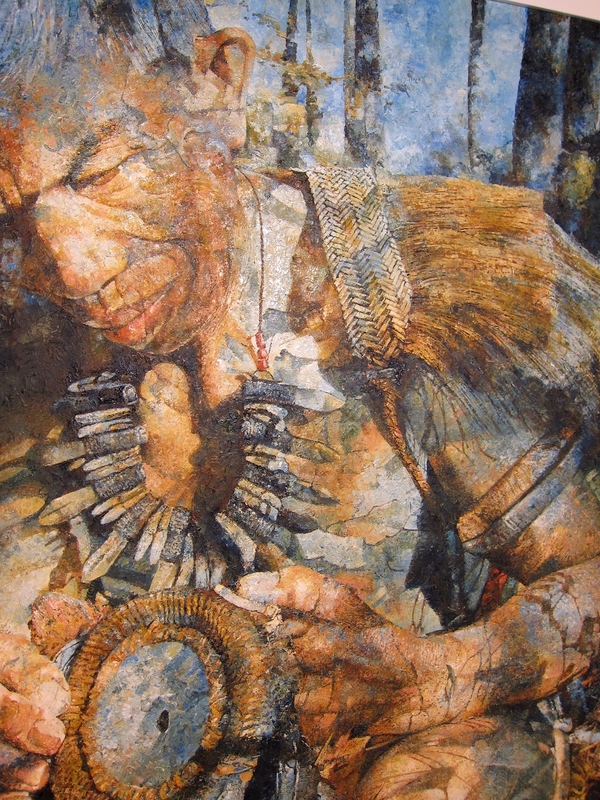 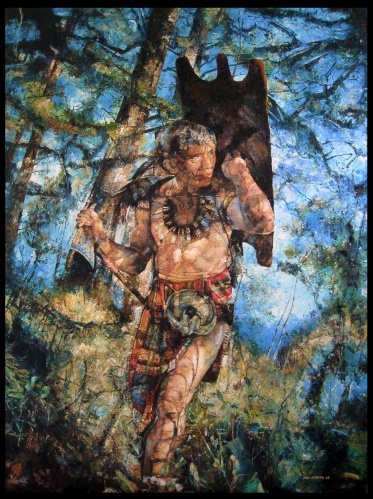 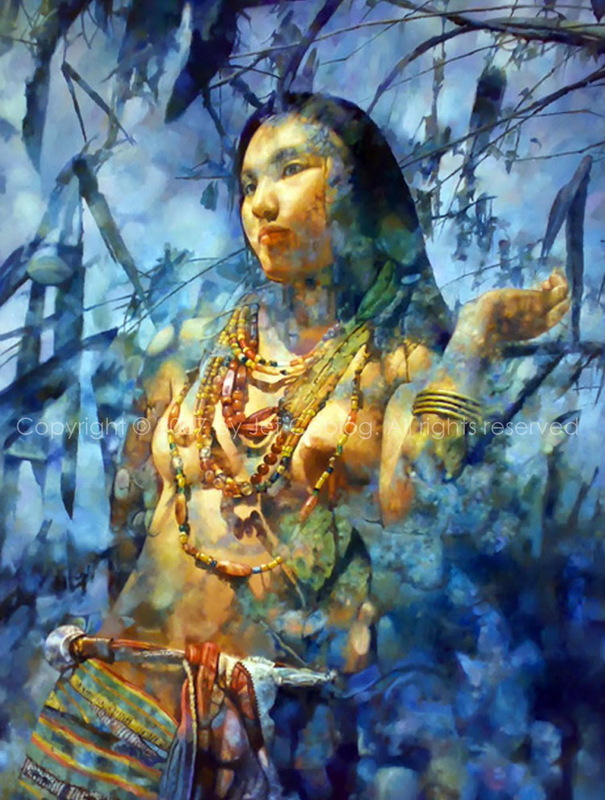 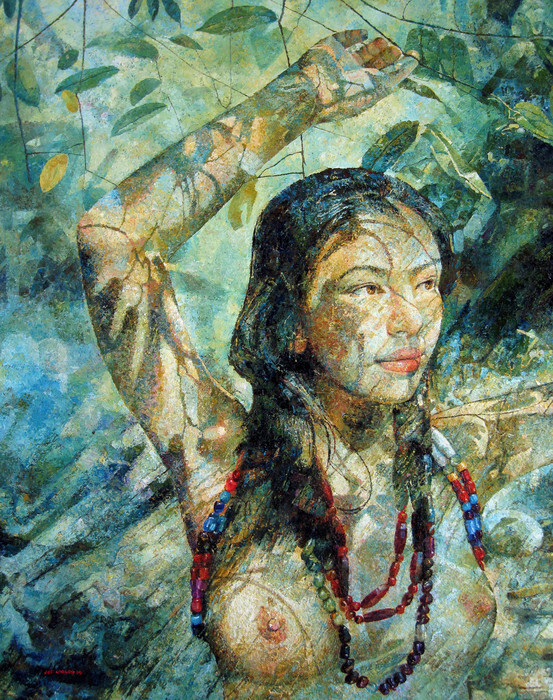 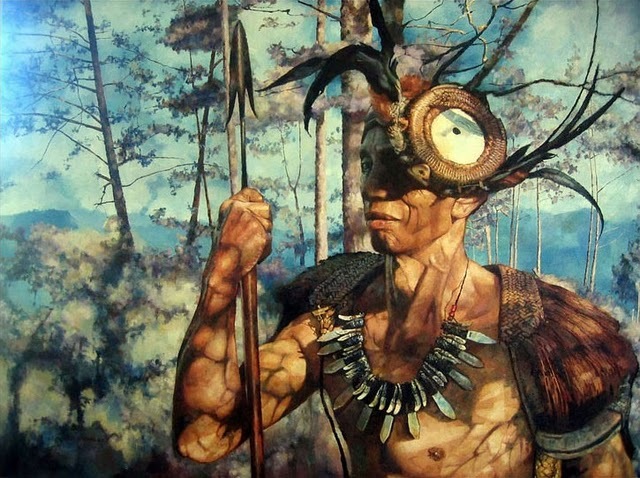 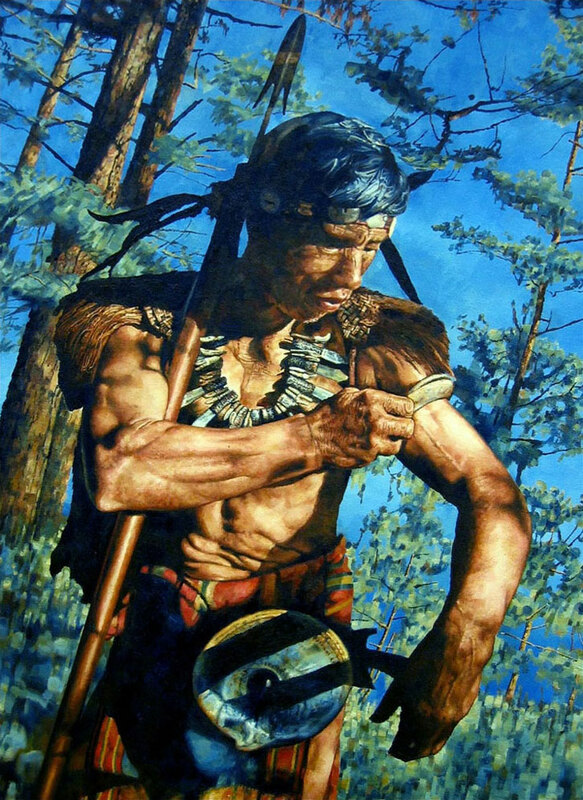 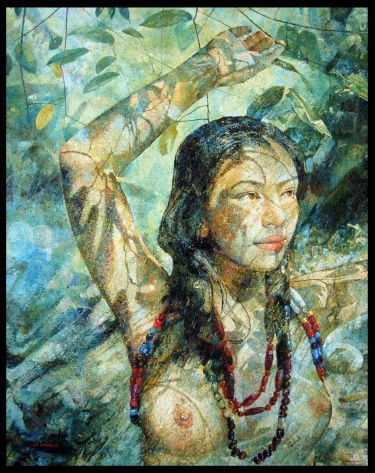 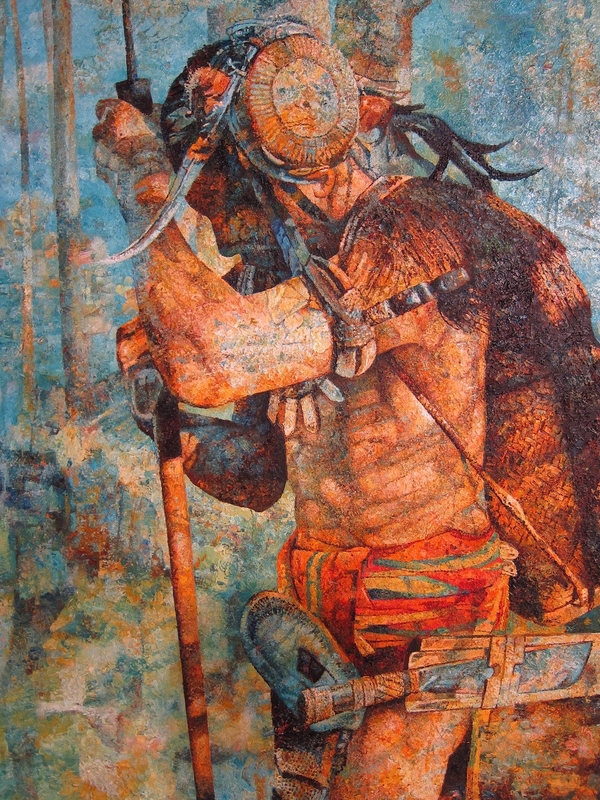 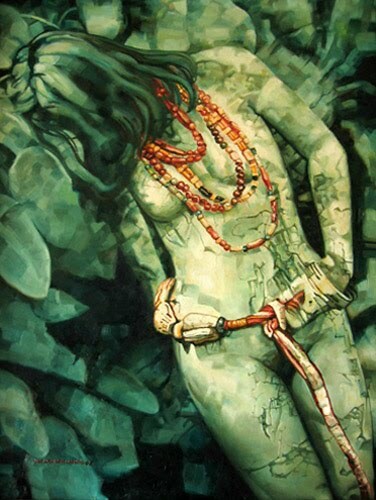 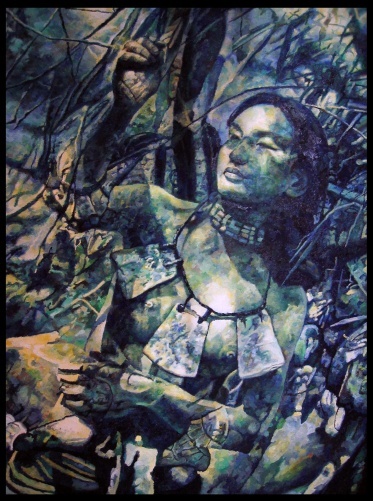 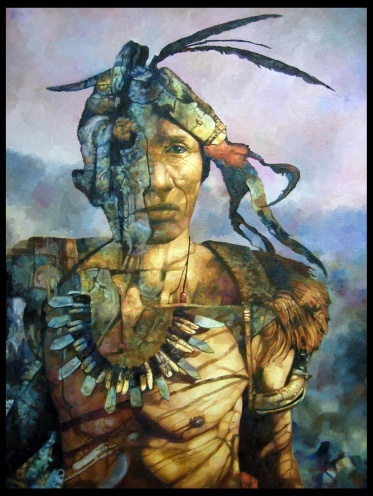 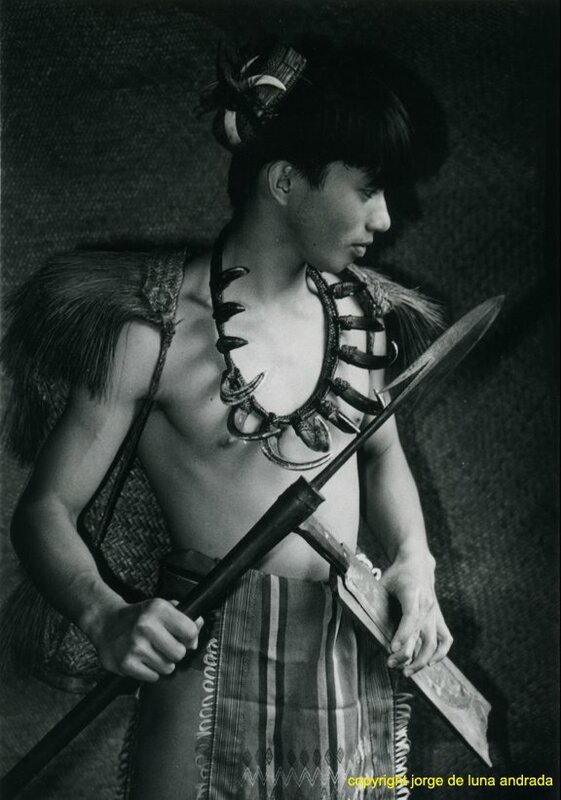 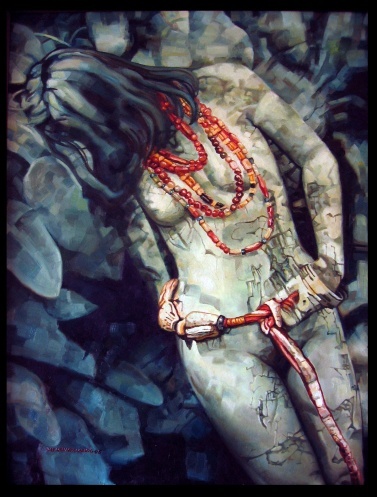 Majority of his subjects shown are indigenous and mythical passed along by old folks of his community. 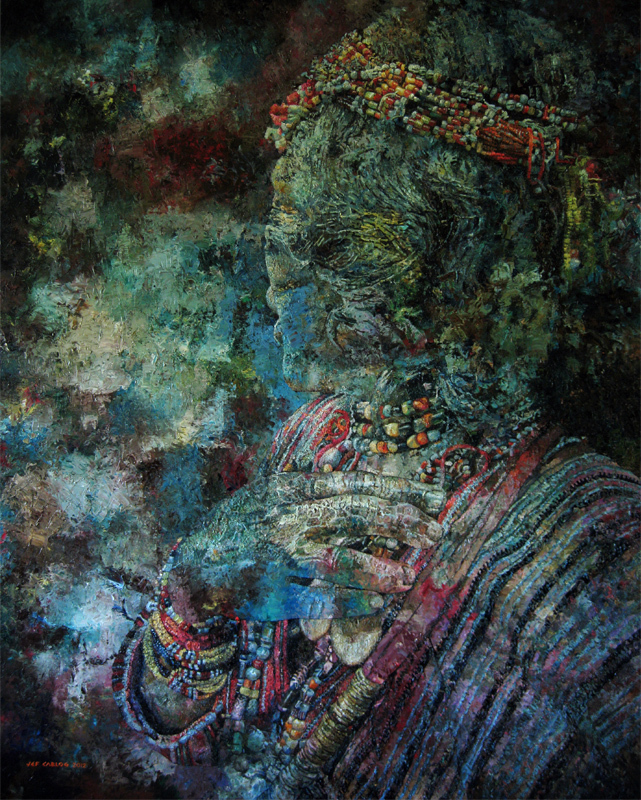 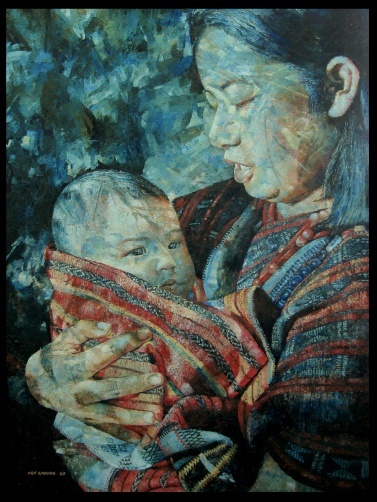 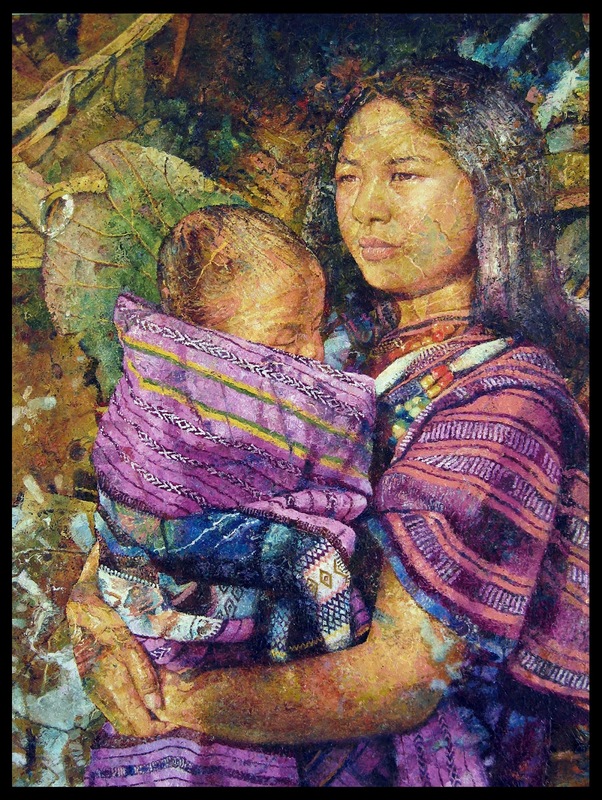 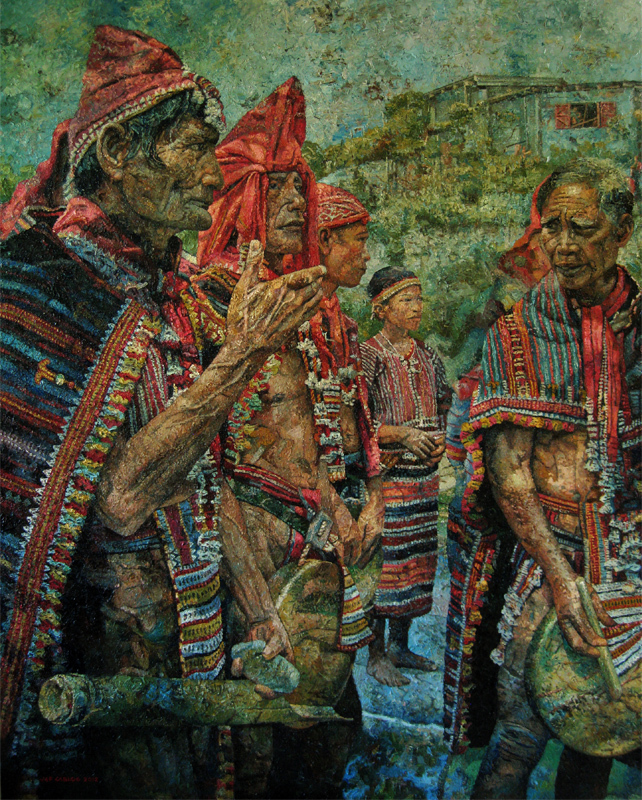 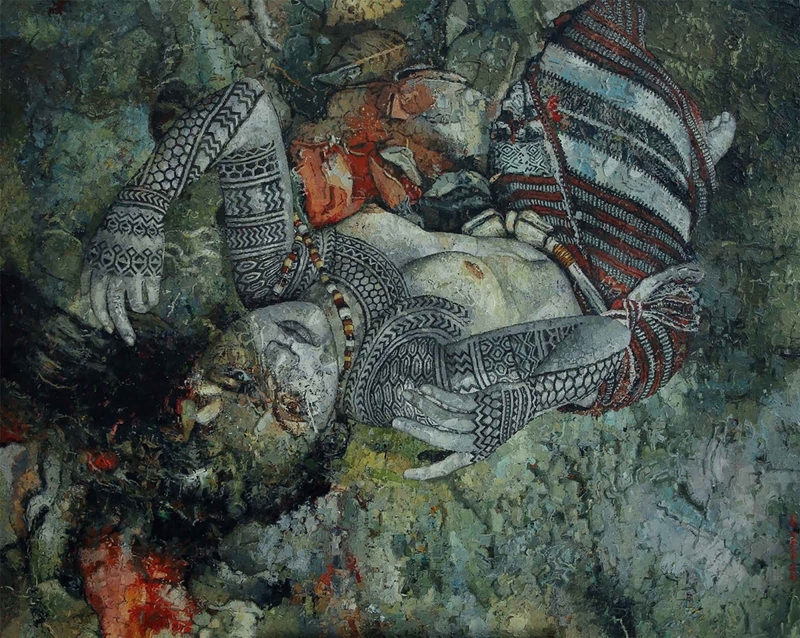 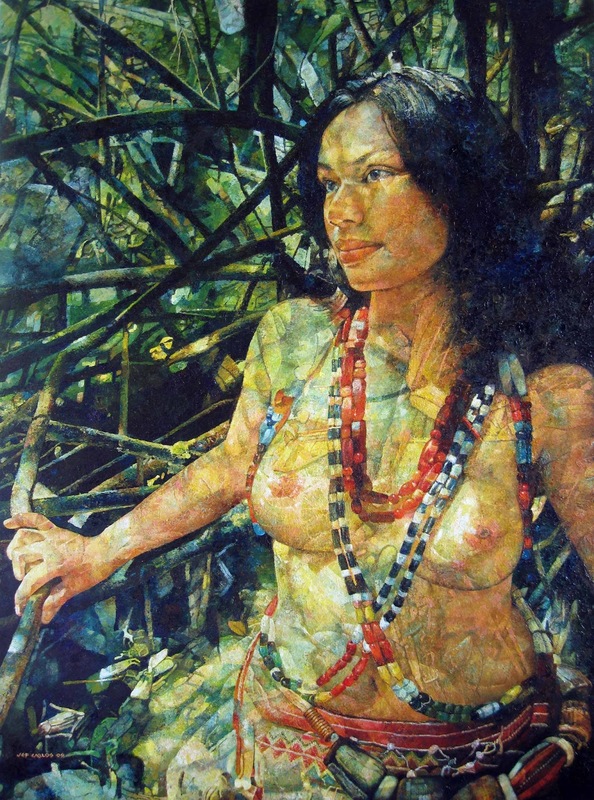 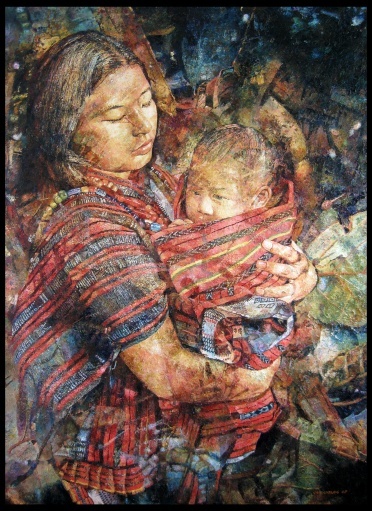 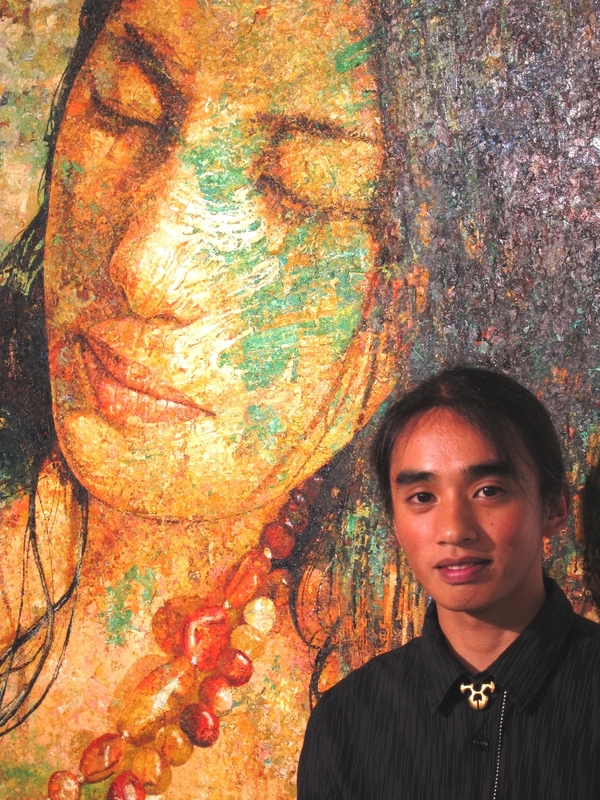 His works are recently valued and perceived by writers, researchers, critics, advocates and collectors as priceless mementos of their experience and interaction with the community of the Cordilleras.